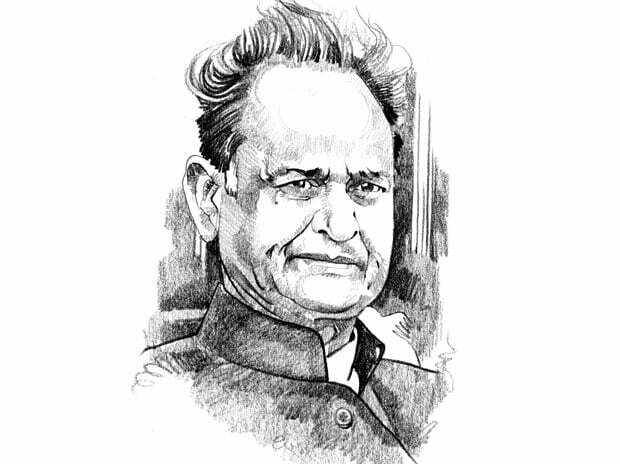 The AICC general secretary in charge of Gujarat affairs, Ashok Gehlot, talks to Amit Agnihotri amid speculation over party veteran Shankersinh Vaghela’s recent parleys with the ruling BJP. We have been hearing that senior Congress leader Shankersinh Vaghela wants to be projected as the party’s chief ministerial face for the assembly polls scheduled at the end of the year. Have you taken a call on the matter? The Congress will not project a chief ministerial face in Gujarat. That decision will be made by the elected lawmakers after the polls. That has been the practice in the party for long and I don’t think we are likely to make any changes this time. Besides, Vaghela has said he is with the Congress. The controversy that he may switch to the BJP is a creation of the saffron party to create confusion in the Congress. But in the Punjab elections, that state in which the Congress had been out of power for the past 10 years, the party did project veteran Amarinder Singh as its chief ministerial candidate. Why not in Gujarat, where you have been in the opposition for 19 years? Punjab was a different case and Amarinder’s name had been floated much earlier. So there was no harm in going public with the choice. You recently assumed charge of Gujarat. How do you assess the Congress’ prospects in the state? Well, I can tell you that the people do want a change. There is a strong anti-incumbent mood against the ruling BJP in the state. Prime Minister Narendra Modi, who was earlier Gujarat chief minister, and BJP chief Amit Shah are bullish about their party's prospects in the coming polls. What is your plan to bring the Congress back in power in the state? Modi is good at marketing and managed to win elections with his marketing skills. The BJP mainly practises politics of polarisation, instead of pursuing development. There is no idealism in the saffron party. In contrast, our leaders like former prime ministers Indira Gandhi and Rajiv Gandhi have sacrificed their lives for the nation. Mahatma Gandhi belonged to the state but the problem is that the youth are not aware of his legacy. We need to educate them. The Congress will highlight good governance under its rule in the past, inclusive growth, and pro-poor policies. The BJP, it seems, will try to counter the Congress on the beef ban issue, especially the public slaughter of a calf by some Kerala Youth Congress activists to oppose a central law on cattle? Congress Vice-President Rahul Gandhi immediately clarified his and the party’s stand on the slaughter and the controversy should have ended there. But the BJP is highlighting the issue because it wants to keep it alive ahead of the assembly polls. When are you likely to roll out the party’s poll campaign? I have asked all four AICC secretaries helping me in Gujarat to travel in the state and interact with local leaders. These interactions will be done community-wise and block-wise. They will also reach out to party workers. This is like the initial stage of our campaign, a warm-up exercise. A detailed campaign roll out will follow well in time. Will there be any campaign role for Vaghela? No specific role for him has been decided but since he is the Congress Legislative Party leader, Vaghela will be an important element in the party’s campaign strategy. The Congress has been communicating with community leaders such as Hardik Patel, who led the widespread Patidar reservation movement, to counter the BJP. Is he on board? Those who believe in the Congress ideology and policies are welcome to join forces with us. No final decision on making Hardik Patel an ally has been taken. However, our state unit has been in touch with him. Is the Congress thinking of a pact with the Nationalist Congress Party and Janata Dal(United) in the state? We are open to an alliance with these parties but it is too early to comment on the issue. The party was considering announcing the candidates in advance. Is it likely to happen? There has been a suggestion on naming party candidates early but no decision has been taken so far. Is that because of infighting among the state leaders? Your predecessor, Gurudas Kamat, had even started a dinner diplomacy initiative to bring them together. Any success? The Congress is a big national party, so some differences are bound to be there, but there is no vertical division in the state unit. Dinner diplomacy was one way of defusing tension between Vaghela and some state leaders but that issue is over now. You have served in the AICC earlier. Is the Congress showing some signs of recovery after the 2014 national poll loss and is Rahul Gandhi taking over as party president in the coming months? I think the current arrangement of Sonia Gandhi as party chief and Rahul Gandhi as vice-president is fine. Anyway, Rahul is taking all the decisions so it hardly makes a difference when he takes over the organisation. The party’s internal polls have been announced and new office-bearers will be in place by October. The Congress is trying to build Opposition unity for the 2019 Lok Sabha polls to counter the BJP. Will Rahul be the coalition’s PM nominee? Opposition unity for the 2019 polls is a good move. All opposition parties need to tell the BJP that they are opposed to its ideology. As for the PM nominee of the alliance, the issue can be decided later, either before or after the Lok Sabha polls. As former chief minister, you are a key player in Rajasthan politics. How you do assess the Vasundhara Raje government in the state? The BJP came to power in the state in 2013 with a thumping majority but the Raje government has proved to be non-functional. People are dejected with the state government and are asking the BJP if it was their fault to have voted for the saffron party. Many projects started during my tenure like Jaipur metro phase 2 and the Bikaner coach factory. Besides, many welfare schemes have been scrapped by the Raje government. Can the Congress come back in Rajasthan in the 2018 polls? Yes, the party can win the next polls in the state. Though I have to focus on Gujarat, I will remain active in Rajasthan as well.